For many American companies, their biggest international opportunity is just north of the border: Canada. Trade between Canada and The United States remains one of the strongest in the world with Canadians increasingly ordering direct online from American merchants. The growth in e-commerce is contributing to significant growth in USA to Canada cross-border volumes. Canadian consumers are interested in globally purchasing goods from American and other international sites. Jet Worldwide assists companies with low cost parcel delivery solutions to Canada from The United States. Depending upon your volume of parcels, there are several methods of sending to Canada. Contact our Canadian team to discuss ways to ship to Canada. Canada is the largest international destination for USPS parcels. USPS offers a great choice for individuals shipping to Canada. Among the most popular US Postal post options is the International Flat Rate Boxes to Canada. For merchants using Shopify shipping from the US to Canada, USPS offers a value for small shipments. Get a quote for your larger shipments to Canada. Canada Post has strong domestic capabilities with a commanding market share for at home deliveries. All parcels mailed to Canada are potentially subject to duty and/or taxes. . Canadian Customs (CBSA) collects provincial sales taxes (PST) and Harmonized Sales Taxes (HST) according to the province of residence on most taxable imports valued at over CA$20. Dutiable and taxable items mailed to Canada are subject to a handling fee of CA$9.95 per dutiable or taxable parcel. If charges are applied, the parcel will be delivered along with a CBSA Invoice (E14). 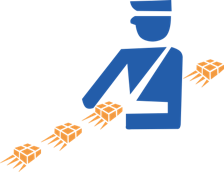 Canada Post collects the fees on behalf of the CBSA and accepts payment online via credit card and other methods. For those who have read about the Free Trade agreement between Canada and the USA (namely NAFTA and USMCA), it often comes as a surprise that their shipments are subject to duty. To qualify for duty free entry under NAFTA, the goods must be accompanied by a NAFTA Certificate of Origin. Gifts between individuals can be considered duty and tax exempt, not otherwise restricted and valued under CA$60. To qualify as tax exempt, the gift must be sent to the recipient personally and include a card or other notice indicating that it is a gift. Advertising material and alcohol cannot be cleared as tax exempt gifts. FedEx and UPS are by far the most dominant carriers in North America. They also have a sizeable presence in Canada and, along with Purolator, are market leaders in the Canadian Market. The “shipping from USA to Canada offer” via FedEx and UPS are similar. Both companies offer air express delivery, economy air delivery and ground delivery. Get a price estimate to compare parcel shipping costs. Many are surprised to learn of duties and how NAFTA country of origin duty free is rarely used for parcel shipments from the USA to Canada. If duty and taxes are paid, FedEx and UPS charge for “prepayment” of these fees. The charge for payment is usually around 3% of the amount prepaid with minimum charge of between CA$7 and CA$15. 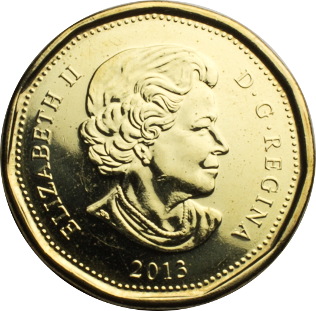 In general, express shipments to Canada are not charged an entry preparation fee by the carrier. However, ground shipments sent via FedEx and UPS to Canada are subject to an entry preparation fee. As a rough guide, here are some estimated charges for entry preparation sent via FedEx or UPS ground to Canada. Their entry preparation fees and processes are very similar. Exact FedEx ground and UPS ground entry preparation fees can be found online and can be negotiated for high volume shippers. For US merchants with regular volume to Canada, it may be best to establish a high volume parcel import and distribution process. This type of “zone skipping” has the added benefit of lower per shipment clearance cost. American companies can establish themselves as a foreign importer of record and do one consolidated entry for many individual parcels. Jet Worldwide works with American shippers for low cost parcel shipping solutions from the USA to Canada with final delivery via Canada Post and Purolator carrier. The most efficient routing for regular parcel flows is via consolidating parcel volumes for a single shipment for single entry cross border entry. After clearance, the goods can be transferred a Canadian domestic carrier for delivery across Canada. Get information from our Canadian team on shipping your American parcels to Canada. There is a demand from Canadian companies who are looking for cost effective solutions for receiving goods from their American suppliers. Often, ground is too uncertain and air is too costly. Contact Jet for a low cost express solution that includes entry preparation and delivery in 1-3 days from the USA to Canada. For specific items, American shippers find it cost effective to store and distribute from their goods stored in Canada for on demand distribution. For information on Canadian warehouse solutions, contact our parcel logistics team. American e-commerce parcel shippers from the USA need lower cost for parcels shipped from the US to Canada. 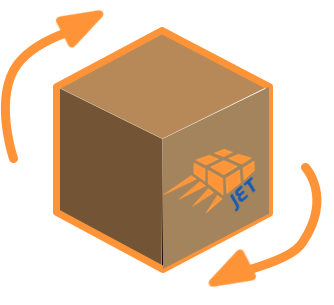 Jet Worldwide offers low cost advanced pricing for basic shippers on Shopify, Wix, Volusion, Big Commerce and Demandware and other platforms. 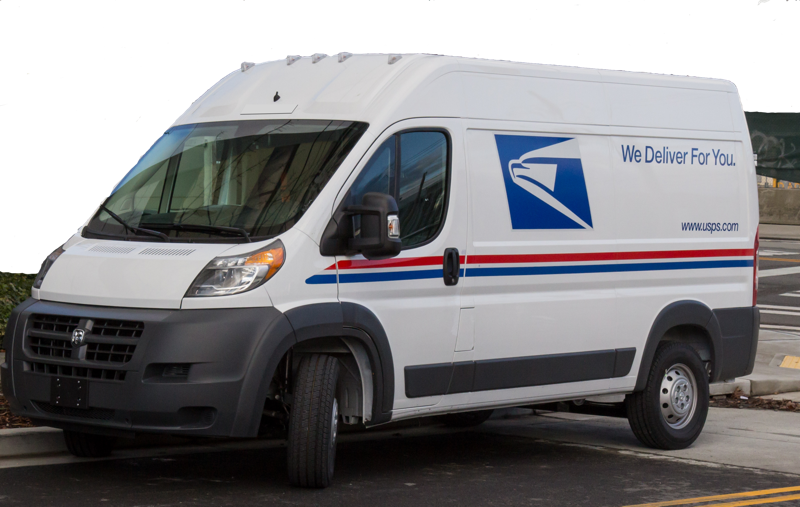 For most US parcel shippers using Shopify, the USPS offers the lowest cost for parcel shipments from the US to Canada. However, for heavier shipments and for when entry preparation is included, economy express is often the better option. Get a cost comparison and rates for your US parcel shipping to Canada. Jet Worldwide can also offer Shopify shippers a return service from Canada.